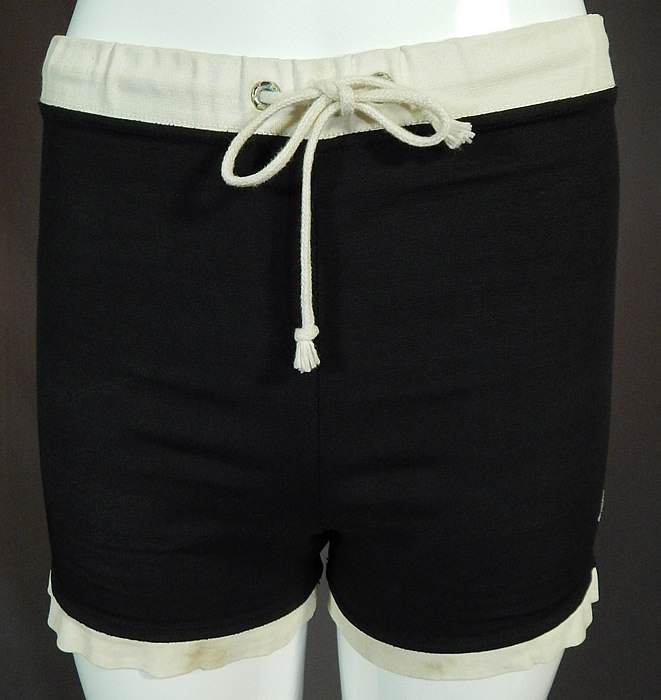 This vintage Catalina Surfers California sportswear mens black and white swim trunks shorts date from the 1960s. 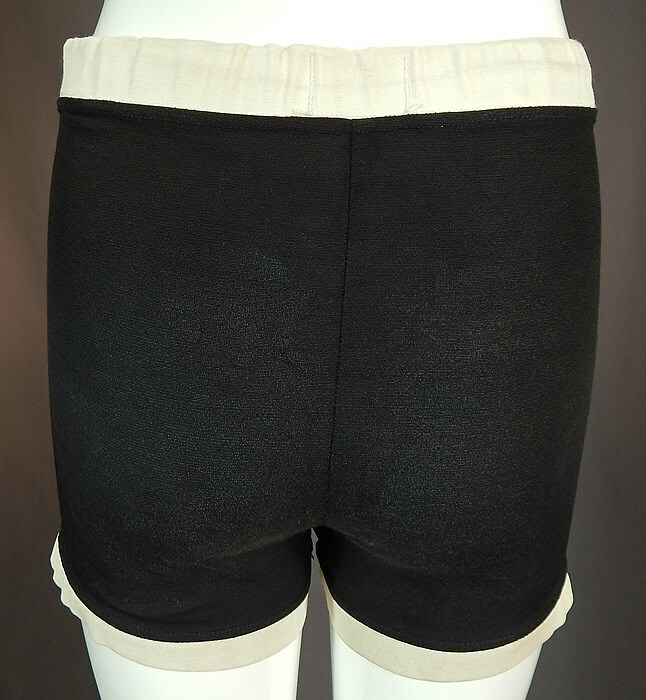 It is made of a black lycra spandex stretch fabric with white trim edging around the waistband and legs. This mens sportswear swim trunks swimwear have a short fitted style, an adjustable drawstring waistband, signature iconic white stitched flying fish logo on the side leg and is unlined. 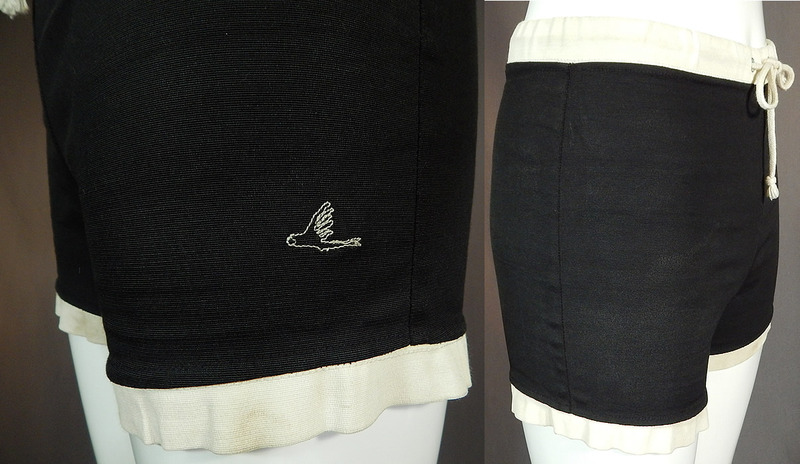 The shorts measure 12 inches long, with a 26 inch waist. 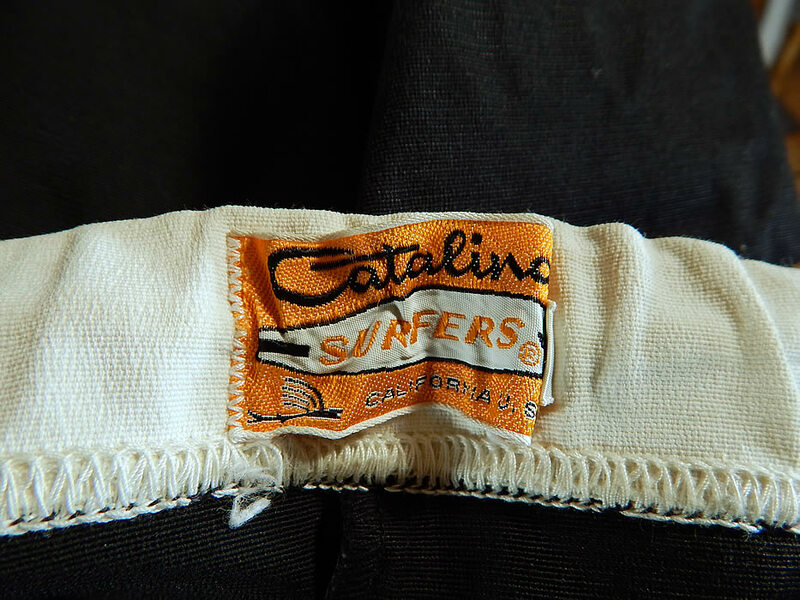 There is a "Catalina Surfers California" label sewn inside. It is in good condition, with only some faint small staining along the white trim edging the legs. This is truly a wonderful piece of mens sportswear swimwear retro wearable art!